STAFF members of campus radio station VoWFM (VoWFM) welcomed new station manager Itumeleng Bahetane this week in their pyjamas. Head of Wits Journalism department and vice-chair of VoW’S board Franz Krüger said, “The new station manager is expected to lead the station to further growth as a leading campus station in the country.” VoWFM is a contributor to the university community which develops talent for the radio and broadcasting sectors. It also “innovates in programming approaches”, said Krüger. Furthermore, Krüger said that the station manager works with a number of stakeholders beyond and within the university in an environment that is financially challenging. The new manager was chosen for the position because he “comes with a strong background in campus radio and has a clear vision of what the opportunities and challenges of this kind of radio station are”, said Krüger and VoWFM is looking forward to working with Bahetane. Bahetane started his professional radio career in 2008. He previously worked at North West University’s Riverfm for five years. Bahetane, who has always worked in radio, has come to what he calls “SA media hub” to “compete in the bigger league” and seize the opportunities it holds for him. In 2011 he became the station manager at Riverfm, where he started the radio station from scratch. 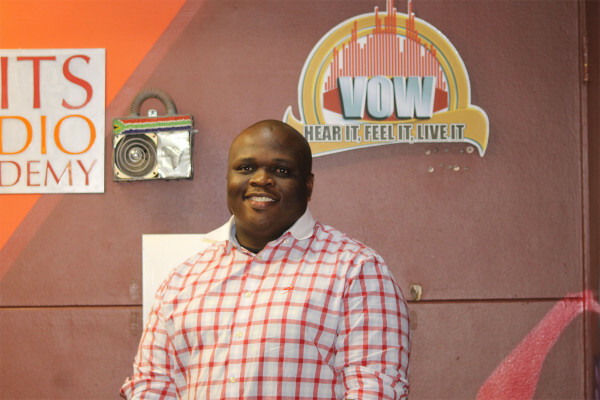 Still settling into his new position, Bahetane will continue with the current programme plan of VoWFM for 2017 and will begin with new plans and changes in 2018 which will be measured by the progress of the radio station this year. He also listens to VoWFM’s biggest competitors. Bahetane says that this will help him in moving forward to make VoWFM the best radio station. “A radio station is measured by many things, so I can’t confine it to one. You’re looking into stuff like programming which is a component of its own, marketing is a component of the station on its own. But in years to come I see us as one of the best radio stations who will give commercial radio stations a run for their money,” said Bahetane. Since music is one of the main components of VoWFM, Wits Vuvuzela asked Bahetane which genre of music is his favourite. He said hip hop and if he had to pick one artist it would be Eminem. The above article previously read that Bahetane worked at PUKfm. This has been corrected and Bahetane worked at the North West University Vaal Campus radio station, Riverfm.